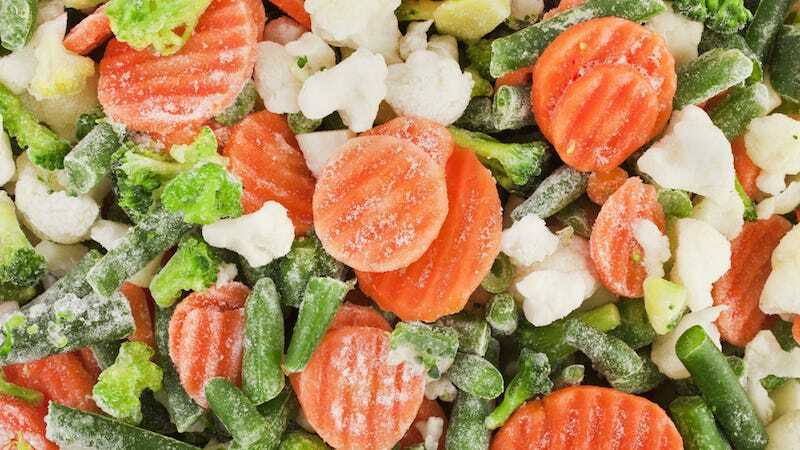 An ongoing listeria outbreak has put eight people in the hospital and forced a recall of 358 different frozen fruits and vegetables. But although we know all these listeria cases are linked to the same source, just what that source is remains a mystery. The FDA just released the results of its investigation into the latest outbreak of listeria, a foodborne infection that hits its victims with fever, muscle ache, and diarrhea. The very first case from this particular outbreak actually happened back in 2013. It was only in April of this year, though, that the outbreak was finally traced to frozen vegetables, sparking the recall. The recall has targeted frozen fruits and vegetables, including broccoli, carrots, green beans, kale, peppers, potatoes, spinach, blueberries, cherries, peaches, raspberries, strawberries, and more, as contaminated. (You can see a full list of all the 358 recalled products, from more than 40 different brands, right here.) Although no source for the contamination has yet been identified, there is a clue as to where we might look for one. The contamination is widespread across different foods, which suggests that the source could be from a contaminated surface somewhere in the factories, or along the supply line of the fruits and vegetables. The FDA found listeria on surfaces inside at least one factory, although whether it or some other source was the cause of the contaminated vegetables remains unclear. Still, it’s a clue to how the outbreak may have begun—and to how we might finally be able to stop it.